First of all I would like to apologize for being lax on updating my blog. As always I am burning the candle at both ends. I need to make time to keep this blog updated. This year I will be trying my best to do so. Last year was full of highs and lows. My major goal of the year was running Badwater under 30 hours and a top 10 finish. 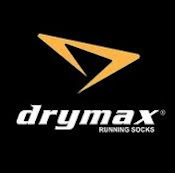 In order to improve on my time from last year I needed to do actual heat training somewhere where it is hot like Phoenix, work on walking faster, and run a couple of road 100 milers as training runs. My training came together perfectly and I achieved my goals. Last year I received help from sponsors like Race Ready and Brooks they will continue to sponsor me again this year. 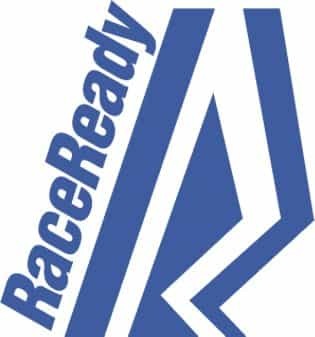 Race Ready makes very high quality running apparel shorts and shirts in America, one of the last few American Made apparel companies. Brooks shoes are my favorite brand of shoes, I wore a barely used pair in Badwater and was amazed how well they performed only a couple of blisters. One of the problems I find in ultra's is having enough pockets to carry GU, GU Chomps, S-Caps, hat, gloves, thin wind breaker, arm sleeves, a place to put trash, etc. I use to wear a bottle waist pack, but they weigh a lot, bounce around on your hips, and tend to slow me down. This last year I decided to carry Nathan water bottles, wear my Race Ready shorts, and at night carry a Nathan Hydration Vest (minus the bladder) to carry my extra light, extra batteries, and cold weather gear, etc. 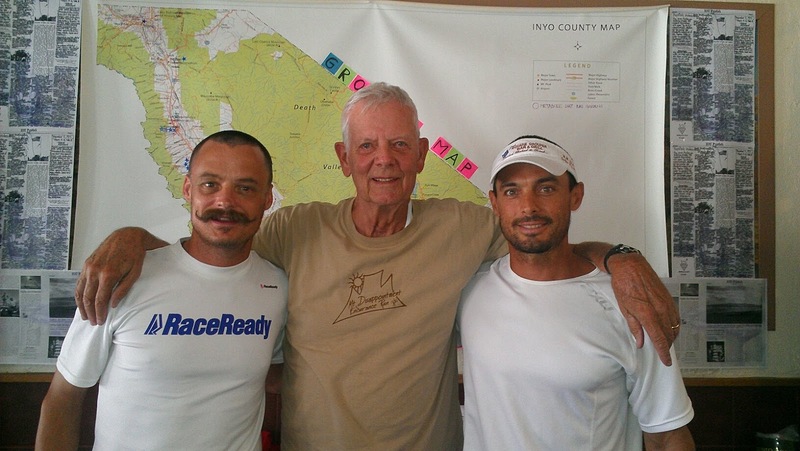 The races I ran as training runs for Badwater turned out to be a perfect fit. The 1st 100 was called Labor of Love in the canyons outside of Las Vegas. The race went really well until about mile 50 when the heat and road really started to get to me. I also took off too fast. 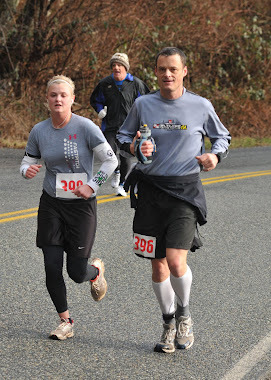 At mile 50 I was winning the race but knew I was falling apart. 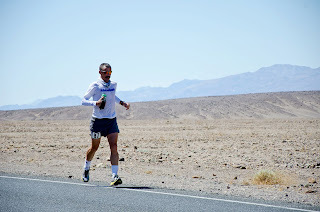 The best thing about running an early season 100 is it is OK to fail a little, if you fail in one that is not a goal race then no harm no foul, at least you didn't fail in an important race "like Badwater". I ended up finishing in 3rd place, but best of all I learned a lot. The 2nd race I did was Keys 100. I felt good the entire time except for getting so sleepy I had to take a nap around mile 55. My daughter crewed me from Key Largo to Key West, having her there made it really easy to throw a towel on the ground near the car and sleep for 15 minutes. The nap made a world of a difference, I woke up and was able to finish strong in 10th place. 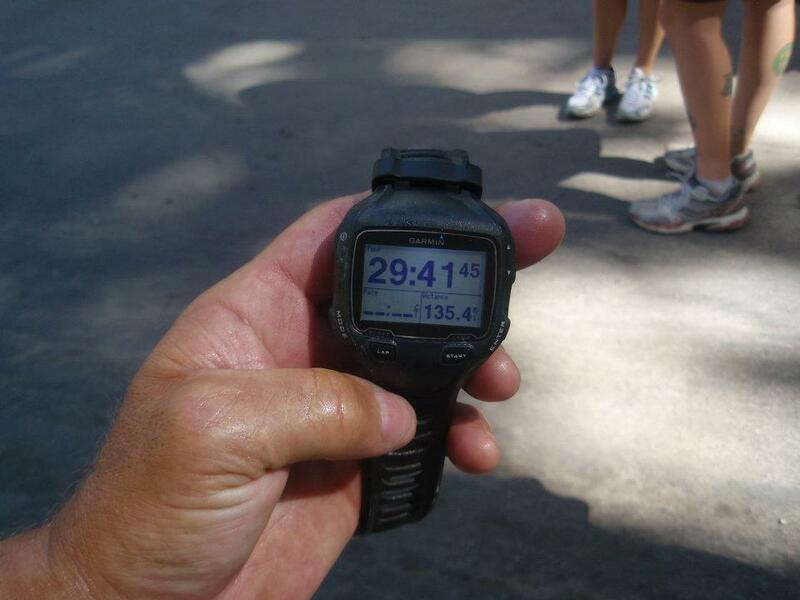 The 3rd 100 I did prior to Badwater was one of my favorites San Diego 100 (this was my 3rd finish). San Diego 100 is a great trail race put on by an amazing ultrarunner Scott Mills. He thinks of everything and puts on a great race. The trail is not terribly difficult but not really easy either just a great mix. I ran a conservative race just wanting to be under 24 hours and be able to walk away unscathed! Like I said previously Badwater was my big goal. Badwater was amazing as always. I love the heat, I love the team atmosphere, I love the night running through the passes. There really isn't anything I don't love about Badwater, well maybe the road, I am really a trail guy at heart. This race is so spectacular, I thought once I had ran the race I would want to stay on trails from then on, but I just can't get this race out of my mind. It is a magical place, running at night through the passes without a headlamp with the moon shinning bright, watching shooting stars, no city lights to disturb the bright stars and moon. it truly is amazing! I will be back pacing in 2013!!! 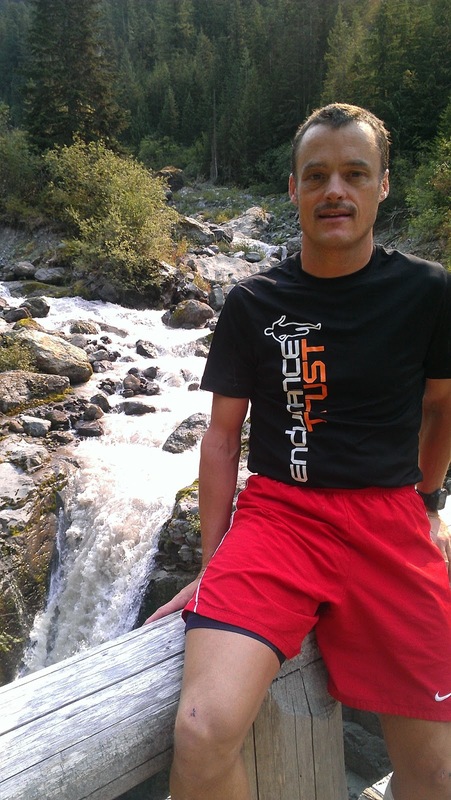 Kevin Douglas and I won a free trip to TransRockies last August on Facebook from Fitful, they provided the meals for runners as soon as they finish. Having a balanced meal early following a tough run is key to recovery, after all TransRockies is a 6 day stage race and we can use all the help we can get. I met a ton of great people and had a great time running. 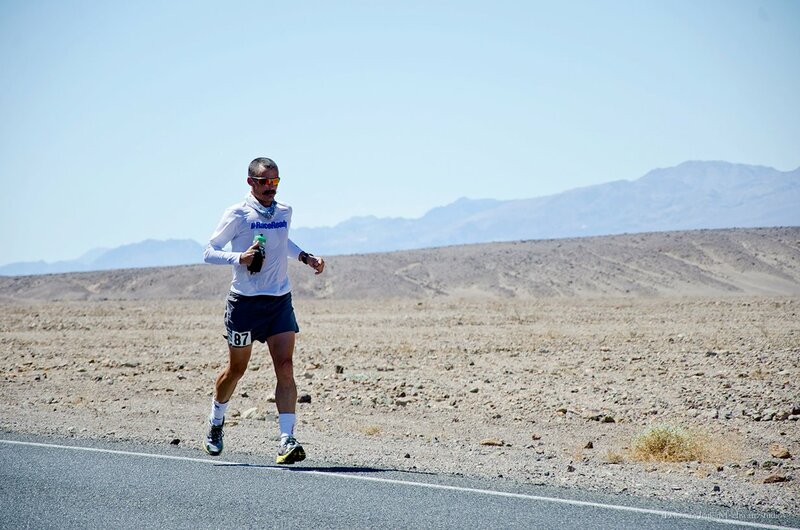 I had not recovered from Badwater so it was all about just finishing every stage and staying healthy the entire time. 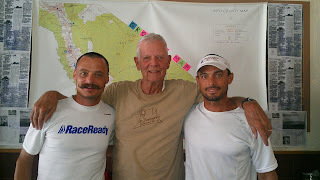 I finally got to meet Trey Bailey and Eric Sach from Renton Washington, two of my fellow Washington runners. I knew them both from Facebook, but as you well know it just isn't the same. Lots of good times joking back and forth, competing in the stages, and during meals. Great times that will always be remembered. 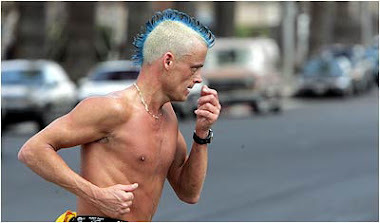 In 2012 I paced many marathons in the following times 3:20, 3:25, 3:30, 3:35, 3:40, and 3:45. 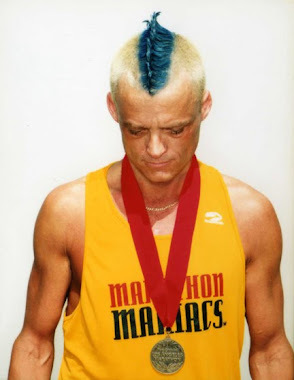 All of my pacing jobs were successful (even the 2-3:20 marathons I was worried about). A few weeks prior to Badwater, on my way to Phoenix I went to Lone Pine and Death Valley and trained with Brad Lombardi. We managed to get permits to climb Mount Whitney the highest point in the continental United States. Right above a cool waterfall on my trek with the Seattle Mountain Runners around Mount Ranier. 135.4 miles in 29:40, that's a long way! Good for 10th Overall BABY!!!!!!!!! Swollen hands, swollen sore feet, Amazing Race!